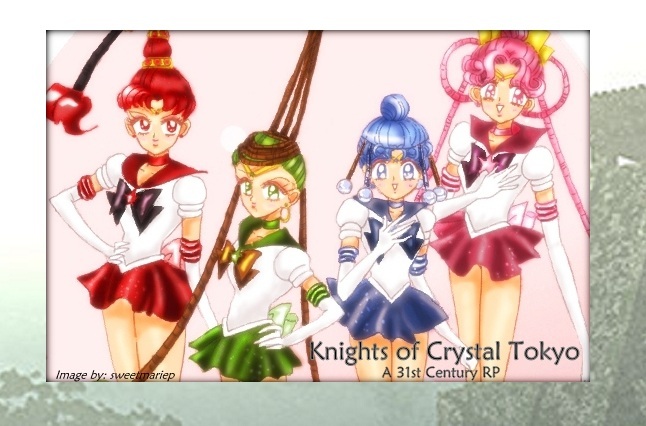 The Galilean Knights, also called the 'Primary Four' were a group of warriors charged with protecting a young Sailor Jupiter before she moved into the Moon Palace full-time. These four trained the young Sailor Senshi and kept her, and the other young inner senshi, safe. When the Silver Millennium ended and Queen Serenity sacrificed her life to give her daughter and her court a new chance at life in the future, the Galilean Knights, who had died in the battle, were sent and kept in reserve, similar to the Asteroid Senshi. They awoke in the Io Castle of Jupiter long after the Crystal Millennium had begun. Jupiter Guardian requested an audience with Eternal Sailor Jupiter, and the Knights requested she train them to fight against evil once more. Jupiter agreed and brought them back to Crystal Tokyo, where they were sworn in as new guardians of Crystal Tokyo. *Primary Four Protective Field - the Galilean Knights can combine to create a bubble-like force field around their target, be it friend or foe. Their future is almost certain - they will be sent to help the Star Lights and Princess Kakyuu as substitute guardians of those planets whose senshi have yet to be reborn.